You Are Here: Home > Discover the benefits of a Certified Pre-Owned Mercedes-Benz vehicle. Discover the benefits of a Certified Pre-Owned Mercedes-Benz vehicle. Only the finest can earn the seal that reflects one of the most demanding in the industry. Beyond the assurance of a painstaking certification process and 24-hour Roadside Assistance, every Certified Pre-Owned Mercedes-Benz now comes with industry-leading coverage: an unlimited-mileage warranty for one year that can be extended for up to two additional years. So, no matter what your odometer reads, your confidence will know no bounds. When you choose a Certified Pre-Owned (CPO) Mercedes-Benz, you get much more than an extraordinary automobile. You get industry-leading coverage — which now includes unlimited mileage with all CPO warranties.† Vehicles purchased on or after January 15, 2014, come with a standard Limited Warranty of up to 5-years of unlimited mileage coverage, from the New Vehicle Limited Warranty start date. Please see your dealer for full details, limitations, and a copy of the Mercedes-Benz Certified Pre-Owned Limited Warranty and optional Extended Limited Warranty. Every Mercedes-Benz Certified Pre-Owned (MBCPO) vehicle is covered by the standard MBCPO Limited Warranty — which now runs for 1 year with unlimited miles, starting when your vehicle’s original four-year/50,000-mile* Mercedes-Benz New Vehicle Limited Warranty expires. So that you can continue to enjoy unparalleled peace of mind when the CPO Limited Warranty ends, our Mercedes-Benz Certified Pre-Owned Extended Limited Warranty program offers additional coverage for either 1 or 2 years — now with unlimited miles. Every vehicle is backed by one of the most comprehensive certified pre-owned warranties available — now with unlimited mileage. Every Mercedes-Benz Certified Pre-Owned (MBCPO) vehicle comes with unparalleled peace of mind. For starters, it´s covered by any remaining portion of the Mercedes-Benz four-year/50,000 mile* New Vehicle Limited Warranty. Then, the MBCPO Limited Warranty provides comprehensive vehicle coverage for another 12 months — now, with unlimited miles. *Whichever comes first. **Please see your Mercedes-Benz Dealer for a copy of the Mercedes-Benz Certified Pre-Owned Limited Warranty. Part of Mercedes-Benz Roadside Assistance, the Trip Interruption program reimburses* you for expenses up to $300 per day for up to three days in the event of a warranty-covered breakdown occurring more than 100 miles from home and causing an unexpected stay overnight. 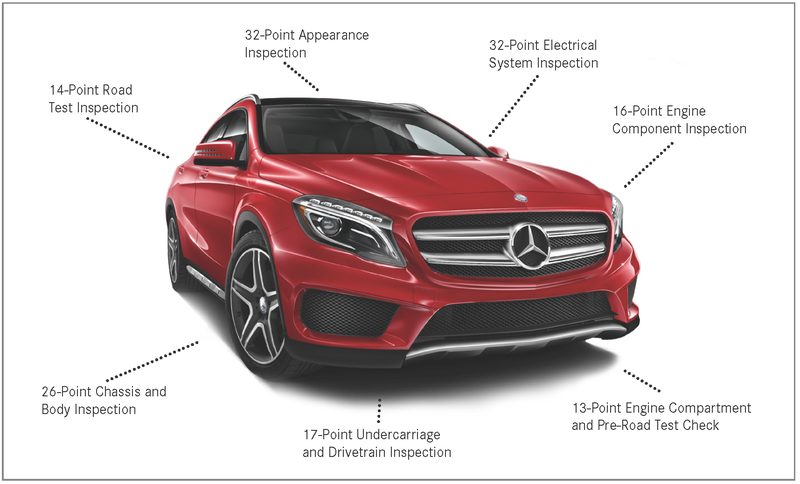 while your Mercedes is repaired at an authorized Mercedes-Benz Dealership. Every Mercedes-Benz Certified Pre-Owned vehicle is sold with a seven day/500 mile Exchange Privilege**. If you are not satisfied, return within seven days/500 miles (whichever comes first), and the authorized Mercedes-Benz Dealer will exchange it with another Certified Pre-Owned vehicle of equal or greater value (if the buyer wishes to pay the difference). **See your Mercedes-Benz Dealer for details. Sign up below to schedule an appointment with your Mercedes-Benz Manhattan Sales Rep. We’ll also keep you up to date with our latest, exclusive partner benefits. Drive In. Be Spoiled.